A truly one-of-a-kind gift for a grandson. Our mosaic glass cross is handmade in the USA and is a blend of clear and blue glass shades. 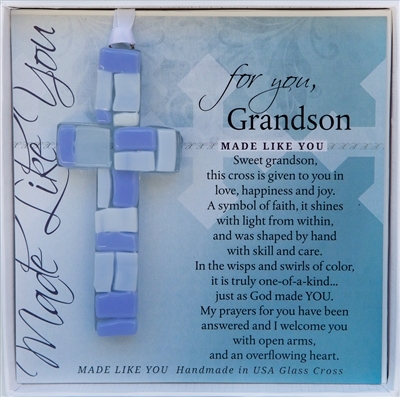 Each cross is uniquely made, just as your Grandson is uniquely and wonderfully made! This 4 inch cross hangs from a white satin ribbon, perfect for year round display or as an annual treasure on a Christmas tree. 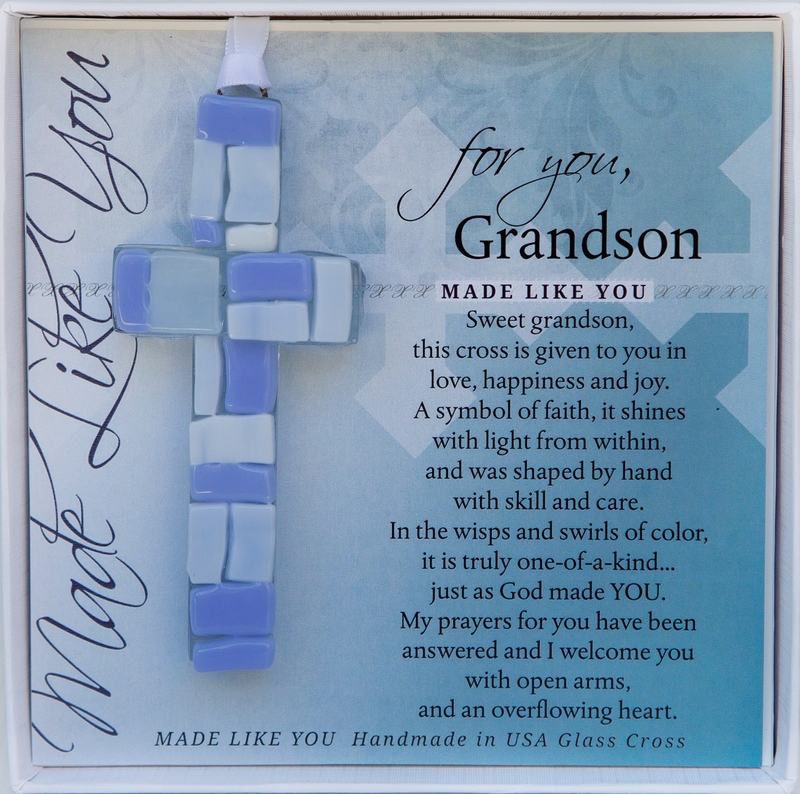 Give this special grandson gift on baby's Christening or Baptism Day or other day you want to show your love. The cross comes with a beautiful sentiment and is boxed in a 5.5x5.5 white gift box with clear lid. A memorable Baptism or Christening, new baby or holiday gift for your Godson.